Sacramento’s most fun Party Bus & Trolley! Welcome to the Rockin' N' Rollin' Trolley & Party Bus Service. My name is Ken O'Camb, and I started this business in 2012, providing service to the fine people of Northern California. 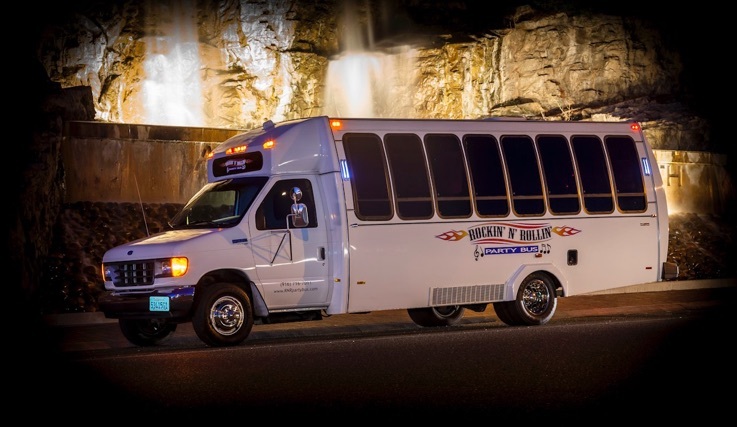 My Party Bus provides (up to 18) passengers with an Incredible Sound System! A Top Of The Line Stereo, 4, 12" Woofers (in Boxes') under the seats, Token "Dance Pole", and Twelve Wine/Champagne Glasses. The Trolley, was custom manufactured by the Molly Corporation in Wells, Maine. It embodies a Beautiful Oak Interior, and Gleaming Brass Railing, and is Fully Enclosed, with designed Etched Glass. Very Classy!! It Also has heaters, and A/C, both in the front, & back to allow for a comfortable ride. 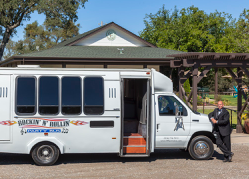 It also provides Many Amenities (Including) an ADA Wheelchair Lift, Classic (hand-crafted) Ash Seats with cushions, that will accommodate up to 30 Passengers. Two USB ports, to charge your cell phone, & an Aux. Cord Port (& cord) so you can play your Favorite music from your playlist. I also had a Cordless Mic System installed, so that guests can sing along with the music Very Fun (for Any Age)!! This Beautiful Trolley turns a lot of heads, as you make a Grand Entrance at Any event, or occasion! Perfect for Weddings, Birthdays, Wine or BrewTasting, Sporting Events, Concerts, & Even Corporate Outings! Providing a Unique & FUN Transportation Experience!